Fairtrade. For a traditional jam. Suitable for vegetarians and vegans. Kosher - KLBD.For the traditional sweetness of jam, our 1:1 Jam Sugar, with its perfect balance of sugar and pectin, brings expert consistency to your homemade jam creations. 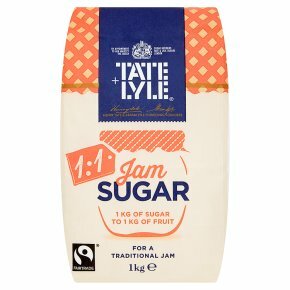 The ratio of 1 kg of fruit to 1 kg of 1:1 Jam Sugar may be the most common way of making jam, but the result is uncommonly delicious.